Now docked at the Arkansas Inland Maritime Museum in North Little Rock, barely rocked by the passing barges and dutifully cared for by a dedicated group of staff, volunteers and veterans, USS Razorback seems to be enjoying retired life. The longest-serving submarine in the world, USS Razorback participated in World War II, the Cold War and Vietnam War. She was commissioned on April 3, 1944, sponsored by Mrs. Henry Frederick Dillman Davis with Lieutenant Commander Albert M. Bontier in command. She was in Tokyo Bay during the surrender of Japan. Mr. H.F.D. Davis oversaw construction of Razorback, among other boats as the Shipyard Manager at Portsmouth where she was built. During World War II, she conducted five combat patrols, sinking Japanese vessels, capturing POWs and rescuing pilots who had been shot down. At the end of WWII, she was one of only 12 submarines selected to be present in Tokyo Bay when the Japanese officially surrendered. During the Cold War, Razorback conducted surveillance patrols around Russian ports, photographed Russian vessels and conducted training missions. In 1949, she received the coveted Navy “E” for overall excellence. For her service in the Vietnam War, she received many awards including five battle stars. Many of the details of her Vietnam-era service remain classified. On November 30, 1970, Razorback was decommissioned and transferred to the Turkish Navy, where she served as front-line combatant submarine until 2001. In 2004, the Turkish Navy officially transferred her to the Arkansas Inland Maritime Museum Foundation, which brought her to North Little Rock, Arkansas. USS Razorback welcomed “home” to North Little Rock in 2004. 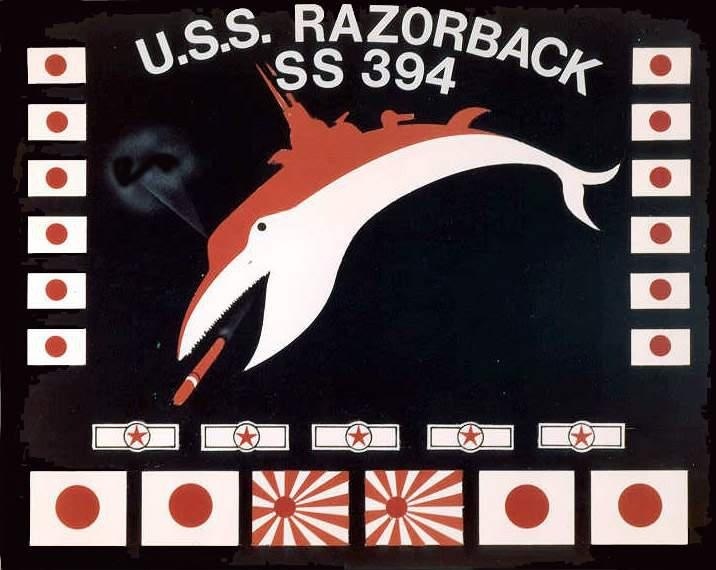 USS Razorback, which has been kept as authentic as possible, is open for tours for ages 5 and up and is an incredible experience. During the spring, the museum is open Fridays and Saturdays 10 a.m. to 6 p.m., and Sundays 1 p.m. to 6 p.m. The Arkansas Inland Maritime Museum is located at 120 Riverfront Drive in North Little Rock. The museum will celebrate the 75th anniversary of the USS Razorback’s commissioning April 3 at noon. It is free and open to the public. The keynote speaker will be Retired Vice Admiral Kenneth Floyd and Charlie Duveen will tell the story of his father being rescued by USS Razorback in World War II.